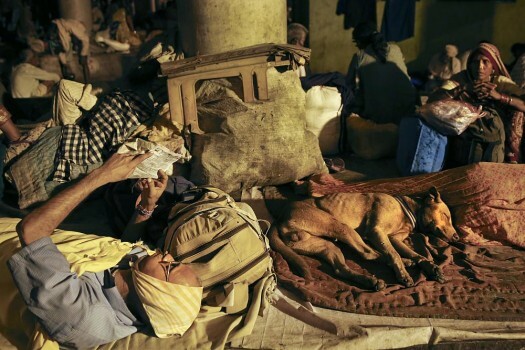 A stray dog sleeps with devotees as they wait for daybreak for a holy dip on the second "shahi snan" or royal bath in the River Godavari during the ongoing Kumbh Mela in Nasik. 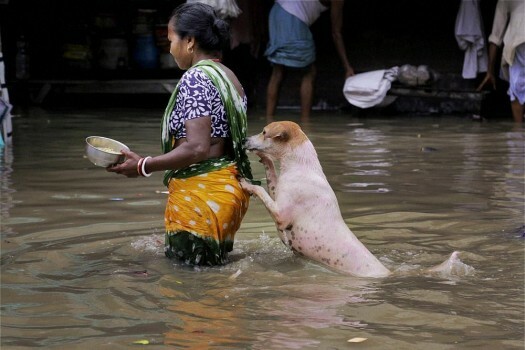 A stray dog takes the support of a woman to cross a flooded street in Kolkata. 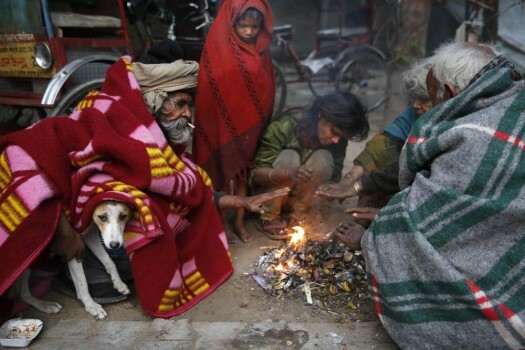 A dog takes refuge in the blanket of an old homeless man as he and others warm themselves around a bonfire in Allahabad. 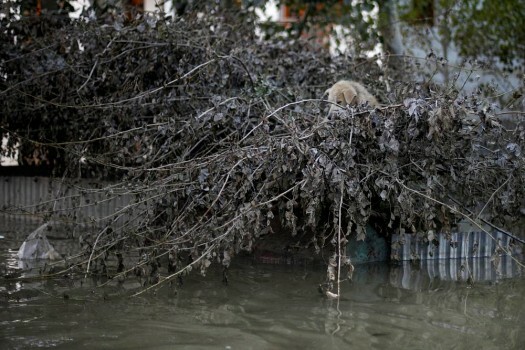 A dog is stranded on a tree in an inundated neighborhood of Srinagar. 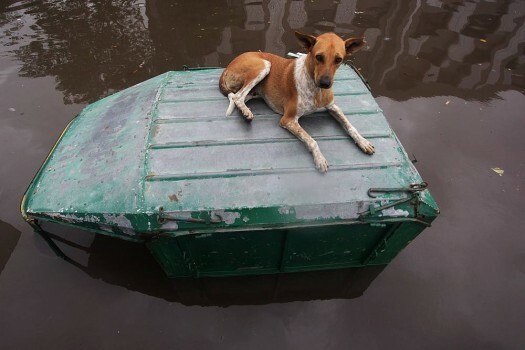 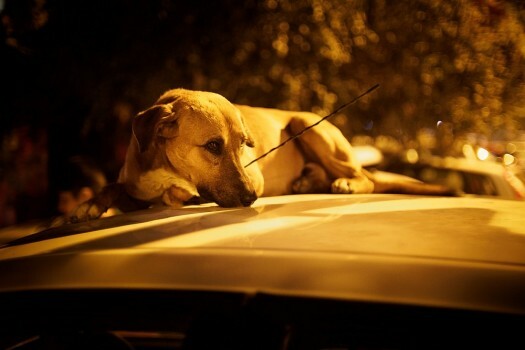 A street dog rests on a submerged vehicle in a waterlogged street in Ahmadabad. 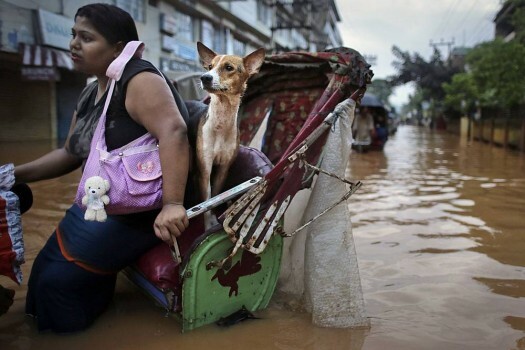 A woman and her dog ride in a rickshaw through flood waters in Guwahati. 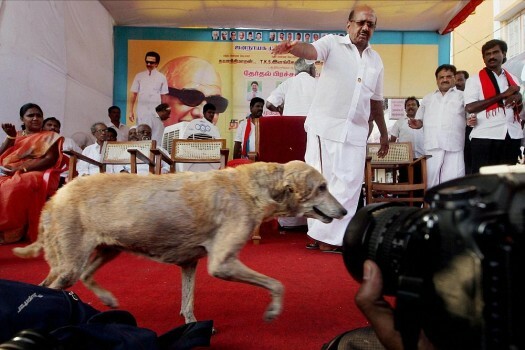 A dog runs on stage during DMK chief M Karunanidhi's election campaign rally in Chennai. 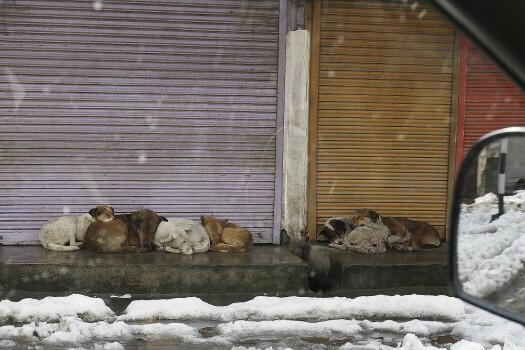 These strays, their noses snuggled in each others' fur, snooze on the snow-lined streets of Srinagar. 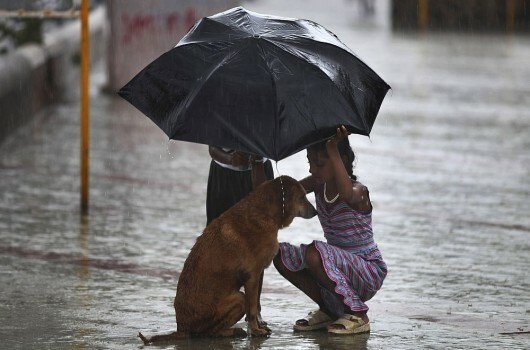 A girl uses her umbrella to protect a stray dog during monsoon rains in Mumbai. 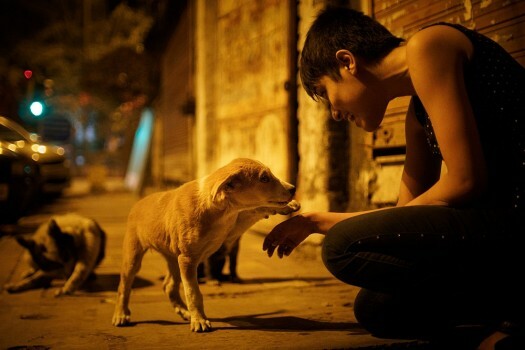 On the second day of Tihar, Nepal's autumnal religious festival, dogs are honoured, celebrated and worshipped. 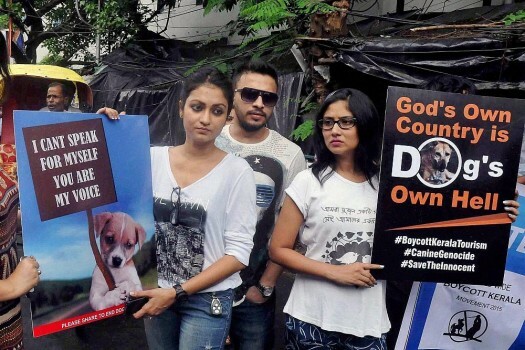 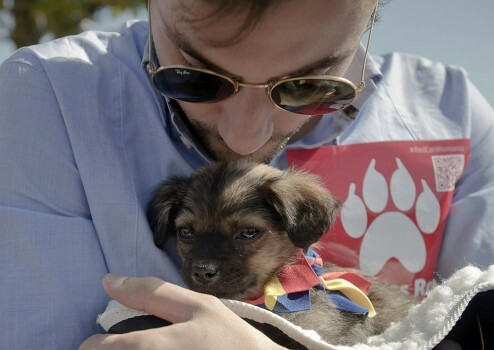 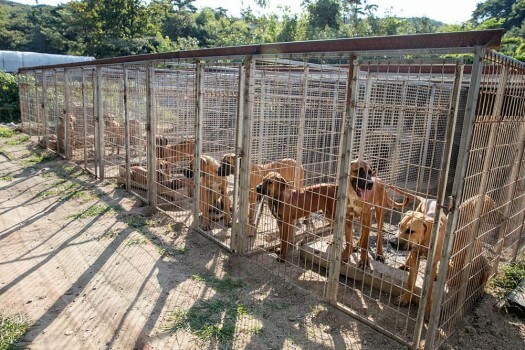 A case in this regard has been registered under the Animal Cruelty Act. 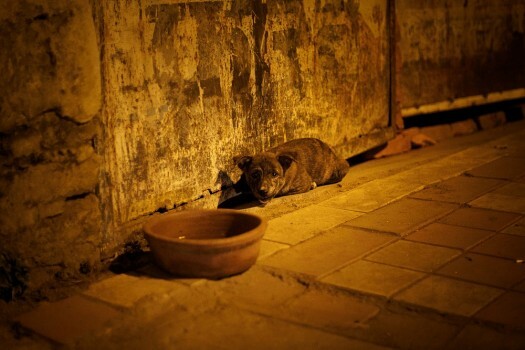 Since 2012 around 30,711 dog bite cases have been reported at an anti-rabies clinic at the Srinagar hospital. 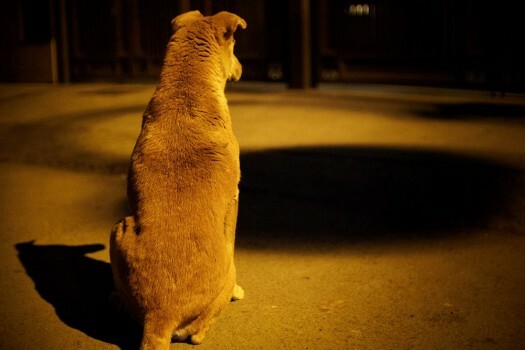 In 2017, over 5000 dog bite cases were reported in Srinagar. 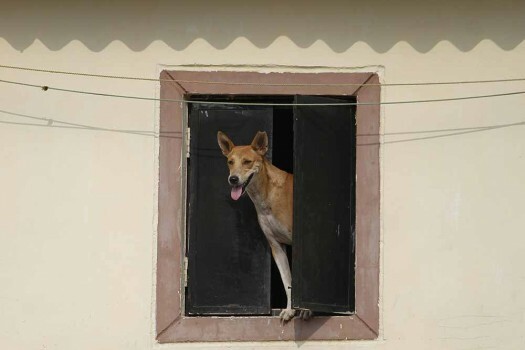 Koderama was Jharkhand's first district to be declared open-defecation free in 2017. 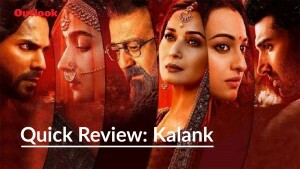 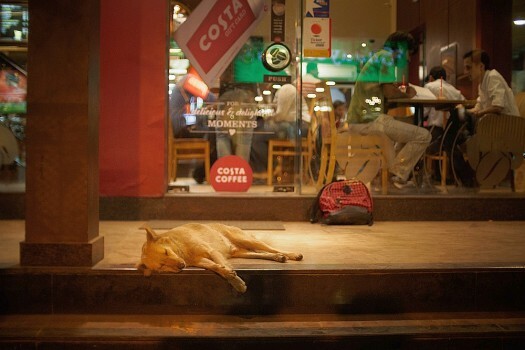 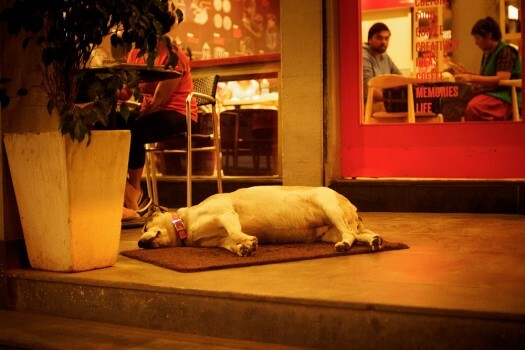 "Given the seriousness of the problem all over the country, the matter brooks no delay"
In India, animals rights are a joke due to laws that don’t bite back.